It looks like we don’t have to wait till the Facebook event day to see what the social networking service will unveil, according to Android Police, Facebook will finally announce its Facebook phone plus its very own theme for Android OS. According to an APK teardown, the device – HTC Myst – will be a 4.3” handset that is powered by a dual-core MSM8960 SoC along with 1GB of RAM. The back will feature a 5MP camera while the front is adorned with a 1.6MP shooter. 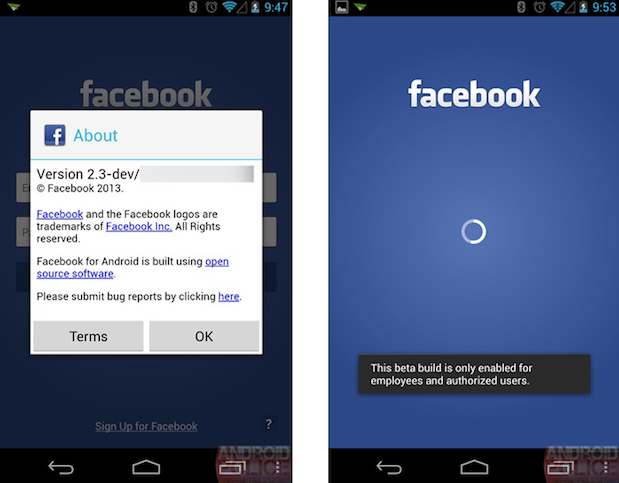 Software wise, it will run on Android 4.1.2 with Sense 4.5 on board, and will feature a new program called Facebook Home. As expected, Facebook Home will take over the home screen, with a whole list of Facebook controls like posting updates, Facebook chat, and more. Unfortunately though, the team over at Android Police couldn’t get things to work because it’s still a pre-release and the device only works for Facebook employee accounts, so no hands on, only a list of features and codes of what might be the device Facebook is set to unveil in about two days time. Check out Android Police for a more in-depth teardown of the APK. Anyone here interested in a mid-range Android phone built specifically for Facebook?